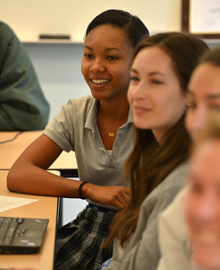 We are a college preparatory school for girls in grades 5-12. 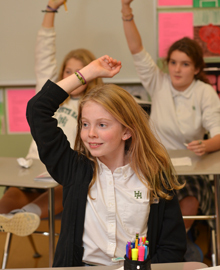 Families choose Harpeth Hall because of our reputation as a leader in girls' education. Harpeth Hall is committed to a student body that looks like Nashville—and to the richness that comes with a diverse, increasingly cosmopolitan population. 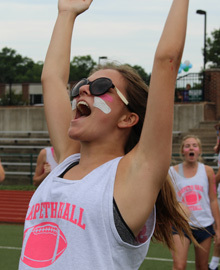 Academics at Harpeth Hall are challenging -- and also engaging, exciting, and fun. Come learn how we empower academically motivated girls to excel. 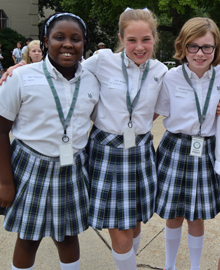 Harpeth Hall offers a variety of signature programs for our students, parents, and people in our community. Our exceptional faculty inspires passions for dance, music, theater, and visual arts. Students have an opportunity to participate in a number of activities -- from clubs to service. 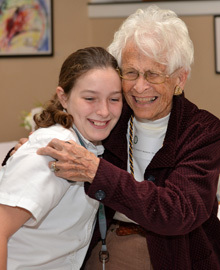 Charitable giving from our donors has built the Harpeth Hall campus and has sustained our program of educational excellence for generations. 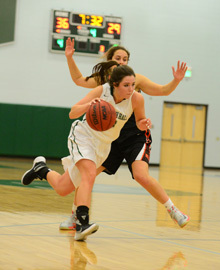 Harpeth Hall has a rich tradition in athletic competition. Our athletes compete in 13 different sports and have garnered 55 state championships.